Silencers or Suppressors are NOT illegal, nor have they ever been! Well some states prohibit them. Silencers are a phenomenal way to enjoy shooting even more. The silencer will eliminate need for hearing protection, significantly reduce recoil and have minimal effect on velocity. They call it suppressor push and the gasses actually act on the projectile on its way through the can and give you a couple extra fps. They also have a magical effect on accuracy via stabilization effects of the added weight and improved barrel harmonics. There is nothing quite like shooting full size rifles that make less noise than your trusty 10/22! But, we have those too, suppressed! How can I own a silencer? 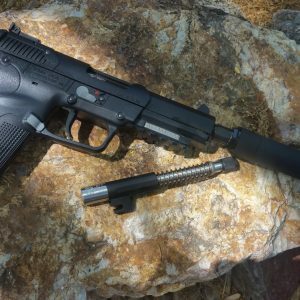 Most firearms enthusiasts would agree, suppressed firearms are some of the most fun and desirable firearms toys you can play with. 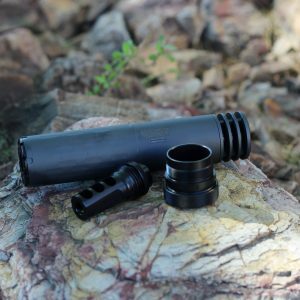 8 Take Your New Silencer Home or to the Range! Why do I need a suppressor? 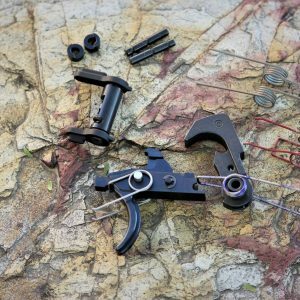 In addition to the cool factor that comes with seeing James Bond, Jason Bourne, special operations units and other action heroes use them throughout the years, they have a tremendous amount of practical value for firearms enthusiasts in general.